Learning Challenge - We are looking at Engineering currently at school. As part of our unit we are looking at ways to challenge the students thinking with problem challenges. The teacher wanted the students to focus on the hinge and the lid of the box. 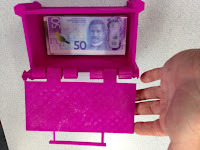 To inspire the students the task was to design the reward box for students for the money offered during work in class as an incentive. 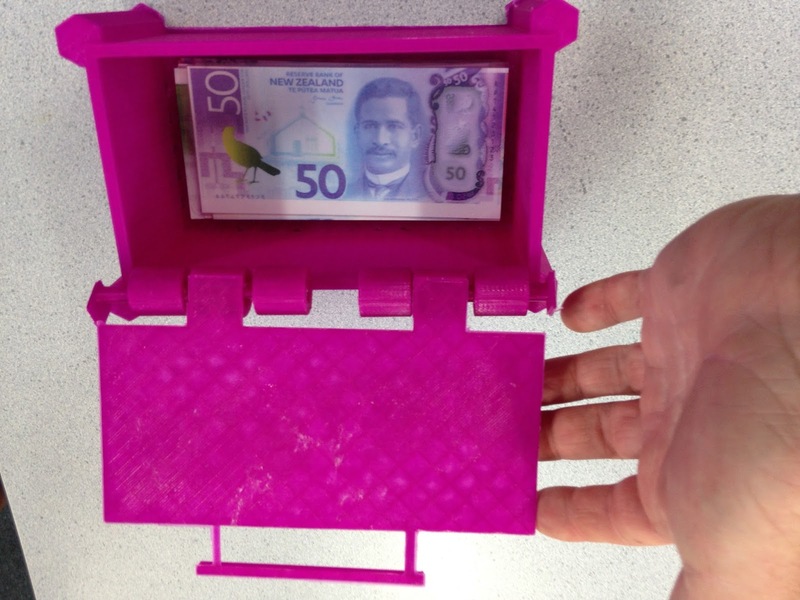 Background: The student responsible for the design and creation of this project had background working on various other projects using 3D Printers that have been detailed on this site. Of note the teacher concerned had the project designed not with Tinkercad but with another program - in this case 123D Design. In his opinion the program is superior to Tinkercad and should be used to allow student design. 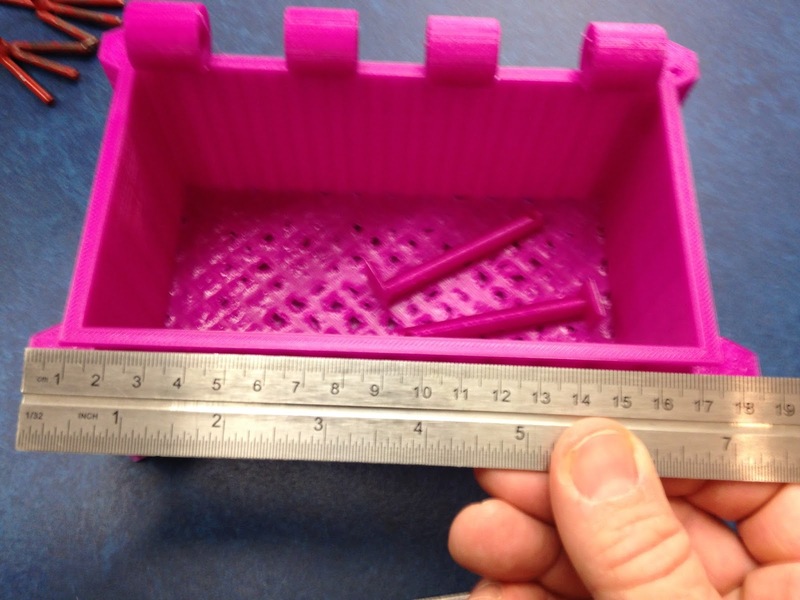 Task: Design a box including a lid and hinge and 3D Print. Box needs to be stable with a working lid. Level of Difficulty: High. 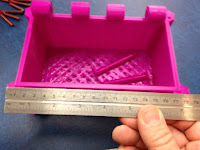 The box featuring the lid required working and movable parts - while the print was successful had the parts not worked a significant reprint and reworking would have been required. The hinge was potentially difficult. Issues: The print was successful on the first attempt. There was limited imperfection on the base of one corner but this was minor and unrelated to the design of the box. Timeframe: Once again a 'fastprint' setting was used as it was a prototype. This included a fourteen hour print for the box and an eight hour print for the plate that functioned as the lid. The eight hours for the lid included the pin for the hinge. Size: 18cm in length with a depth of 10cm and a width of 10cm. Other parts relative. 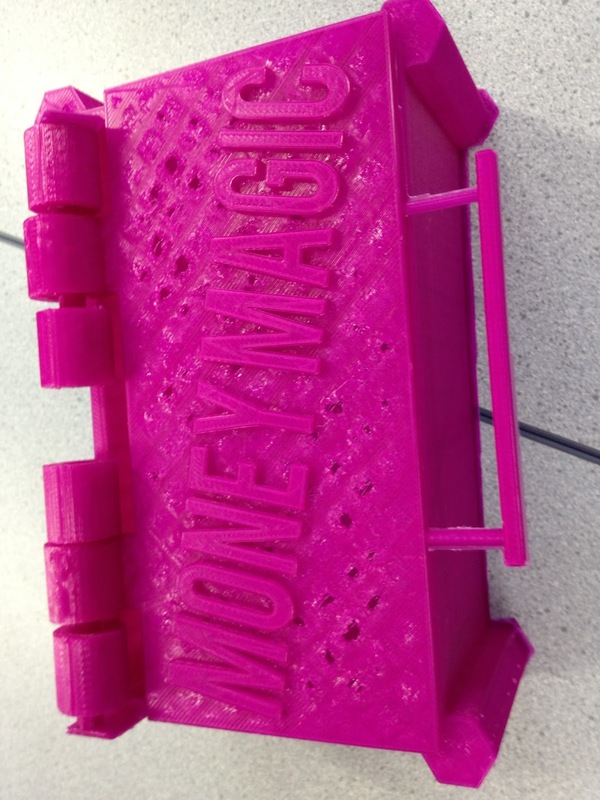 Process: As noted the design was created by a student who used not Tinkercad but 123D Design. 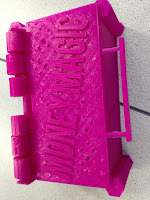 As with other material on this site the Ultimaker 2 (regular) was used. This project involved the teacher creating his own version of this car. It was inspired by an original Arduino Kitset. The kitset (completed) could be ordered online in its entirety - however the task was created to create one from scratch and 3D Print it. The exception was the car components. These were ordered online from a New Zealand supplier for a price of $11.80. The pieces were then printed in stages and put together to produce the final piece. 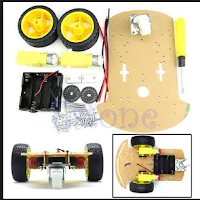 Learning Challenge: Utilizing the 3D Printer to produce a kitset car that would work to complement the motor part of the kitset (see below). The parts needed to ensure that the motor would work. Level of Difficulty: As a prototype the teacher wanted to complete the task first. In addition to the regular parts of the car additional parts to house the additional components and features needed to be made and constructed. This has been intended as a practise run before the students complete the task. Issues: The axel space around the wheels was not clear enough which led to a restriction in the movement. In future print runs this area of the car would need to be addressed to allow it to move freely. Timeframe: Fourteen hours for the base, twelve hours for the front bumpers and an additional twenty hours for the remaining parts of the car. This car was printed on the 'fast/draft' setting as it was a prototype - there was concern that it would be robust enough to handle the task of the car running however this is not the case. Size: Twenty five centimetres in length and fifteen centimetres across. Moving Forward: The intention with this task is for the students to complete the task individually and produce their own version of this project.